As far as the Supreme Court is concerned, EA knew what it was doing when it used the likenesses of former NFL players. 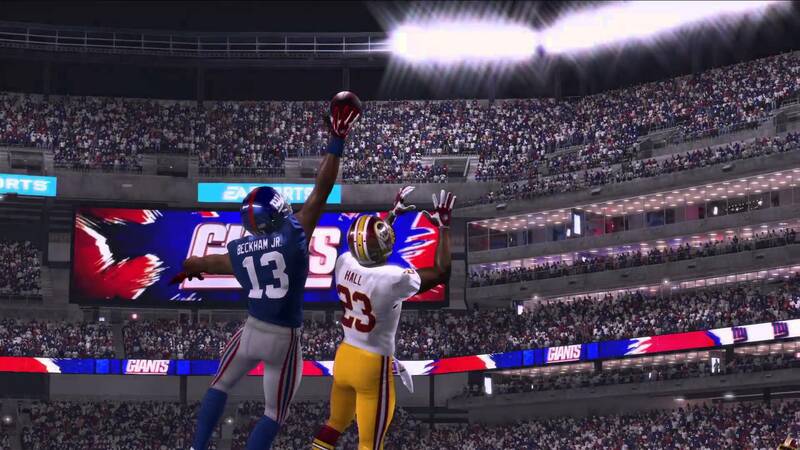 The U.S. Supreme Court has rejected EA Sports' free speech defense in the lawsuit involving the Madden franchise, according to a report by Reuters. The lawsuit was filed on behalf of former NFL players, who contend that EA is using their likenesses without compensation. Electronic Arts pays a license fee to the NFL to use the likenesses of current NFL players, but it hasn't paid any fees for the likenesses of former NFL players. EA Sports previously argued that the use of the likenesses was "incidental" and protected by free speech laws. A previous ruling in January 2015 disagreed with this contention, as did the high court in this case. "EA's use of the former players' likenesses is not incidental, because it is central to EA's main commercial purpose - to create a realistic virtual simulation of football games involving current and former NFL teams," Circuit Judge Raymond Fisher explained in the ruling for the appeal in January 2015. The lawsuit was filed on the behalf of former NFL players, including Tony Davis from the Tampa Bay Buccaneers, Vince Ferragamo from the LA Rams, and Billy Joe DuPree from the Dallas Cowboys. EA Sports argued that the use of likenesses was coincidental, as the names weren't used within the game, only the basic visual attributes. The ruling above and this current ruling have shot down that defense. This is a similar case to the one filed by former college football players in relation to NCAA Football. The result of that case was EA Sports ultimately decided to cease development on its annual NCAA titles. Here, EA Sports probably won't drop Madden NFL, but it's likely that previous players' stats and likenesses will be removed for the game completely. The lawsuit in this case involved the use of likenesses from 2001 to 2009. The case in question is Electronic Arts v. Davis, U.S. Supreme Court, No. 15-424. Tagged with EA Sports,	Electronic Arts,	Legal,	madden,	madden nfl,	News.